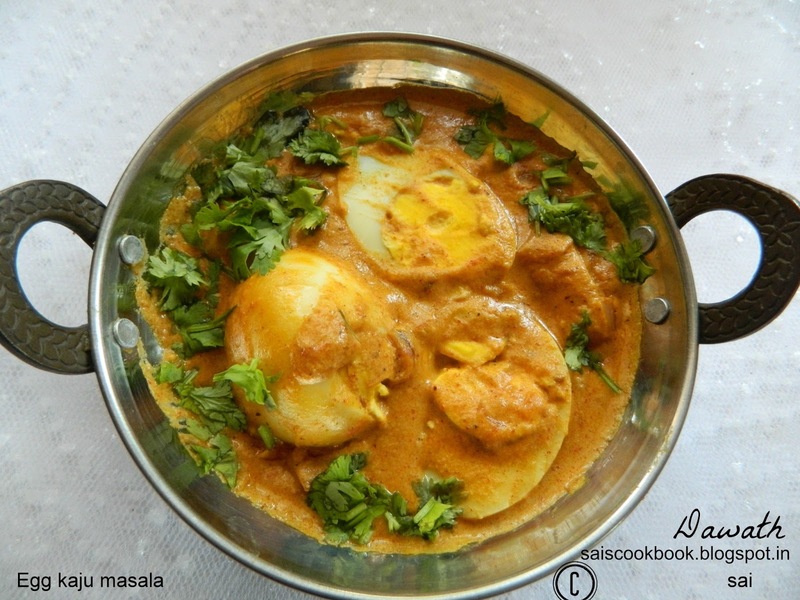 I adapted this recipe from a FB food group posted by one of my friend Sandhya Nayak Kamath.I have tried this dish several times and since the taste is awesome I thought of sharing it here today.The original name of the dish was egg butter masala but since Cashewnut paste is added and it enhances the taste I renamed it as Egg kaju masala.Kaju means Cashewnuts.This dish goes well with roti or rice.I had some leftover Egg fried rice to accompany this dish, so it was totally an eggy day today at our place. Grind the cashews with the milk to a smooth paste and keep it aside. Wash and cut the tomatoes into 4 pieces,cover it with a micro safe lid and micro high for 3 minutes,cool and puree it. Heat ghee or butter in a pan fry onions until translucent,add cardamom and cinnamon and fry for few seconds. Add tomato puree and fry until the raw smell disappears. Add chilly powder,turmeric powder,coriander powder,garam masala powder and meat masala powder. 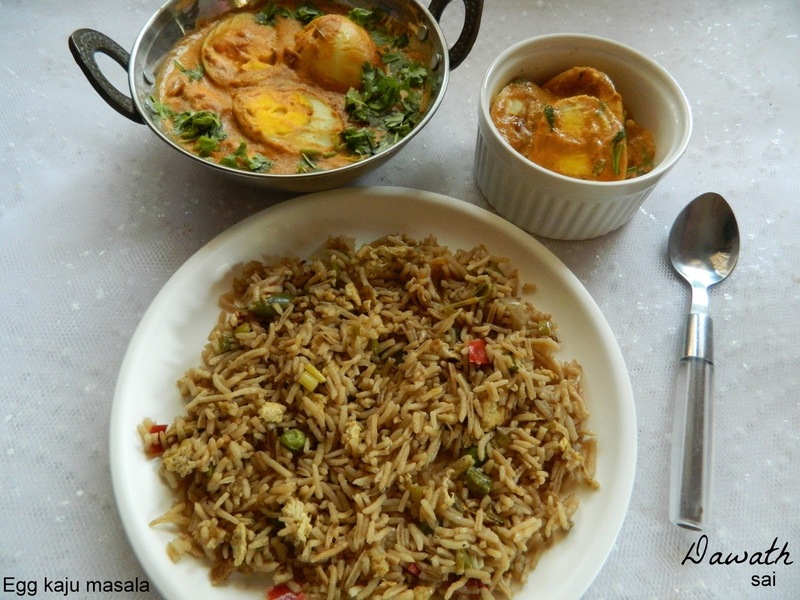 Add water to adjust the gravy,cashew paste ,salt to taste and when it starts boiling add the boiled eggs. Dry roast the kasuri methi and crush it coarsely with hands and add it.